Dr. Schoepf is the Director of CT Research and Development, and an Associate Professor of Radiology, Department of Radiology, Medical University of South Carolina, Charleston, SC. Pulmonary CT angiography (CTA), with its ability to visualize disease in the smallest pulmonary vessels, is poised to become the gold standard for imaging the pulmonary circulation. This article will review both the technical details and clinical indications for pulmonary CTA. 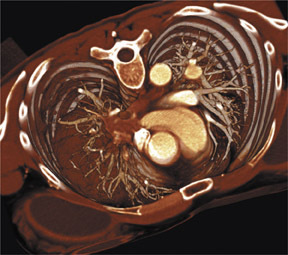 Included in the technical discussion will be: information on scanner settings for thin-slice imaging; the selection of contrast media and contrast injection protocols; the optimal display of data for various applications of pulmonary CTA; and several ongoing challenges, including motion artifact, patient radiation exposure, and the management of data from the hundreds of individual axial sections acquired with each multidetector-row CT scan. 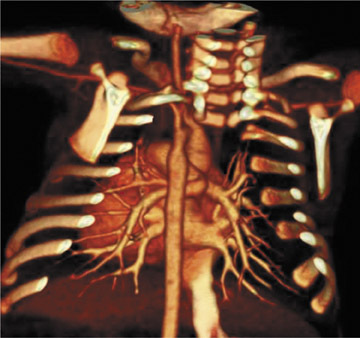 This article will also review specific indications for CTA and CT venography (CTV), including neoplastic and congenital disease, pulmonary hypertension, and acute pulmonary embolism, as well as future indications, such as measurement of right heart strain. Thin-slice imaging is critical to the success of CTA. The selection of slice width will depend not just on the type of scanner, however, but also on the cardiorespiratory status of the patient. The general rule is to select the thinnest possible slice that will enable imaging from at least the base of the heart to the aortic arch during the longest breath-hold a particular patient can achieve. With this approach, imaging will cover at least the central pulmonary circulation. In the case of 16-detector-row CT scanners, breath-hold limitations have nearly been eliminated. We routinely choose the thinnest slice width available on our scanner-0.75 mm-and image the entire thorax in a breath-hold of approximately 10 seconds. Image resolution is excellent even in small vessels in the periphery of the lung. 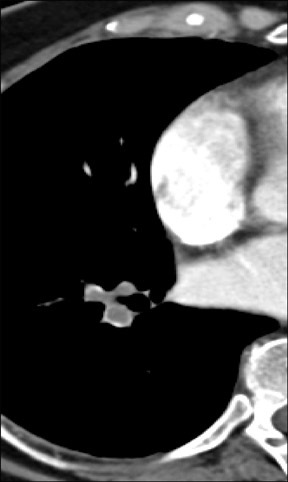 As shown in Figure 1, imaging small pulmonary vessels (and the pulmonary emboli within them) is no longer a limitation of CTA. In this case, images were acquired on a 4-detector-row CT scanner with 1-mm collimation and reconstructed in 1-mm, 2-mm, and 3-mm section widths. 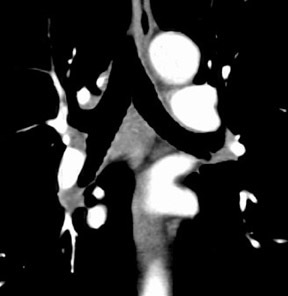 In the 3-mm reconstruction, it is possible to see filling defects in the triad of vessels supplying the right lower lobe of the lung; however, subsegmental vessels are obscured by volume averaging. In the 2-mm section, it is possible to visualize the subsegmental level of the scan acquisition. It is only on the 1-mm section, however, that a tiny subsegmental vessel coming off the segmental branch can be fully visualized, including the filling defect within it. Contrast injection rates for pulmonary CTA are high, 4 to 5 mL/sec. It is important to optimize the timing of contrast injection and image acquisition, to ensure that scanning takes place during peak contrast enhancement. In the past, with single- or 4-detector-row CT scanners, we used empirical scan delays ranging from 16 to 20 seconds. Today, with 16-detector-row scanner technology, we use automated triggering to more precisely coordinate contrast injection and scanning. We first define a region of interest in the central pulmonary trunk. Once contrast media attenuation within that vascular structure exceeds a predefined threshold-usually 100 HU-scanning is triggered automatically. Automated triggering will become even more useful as scanning speeds increase. Today, with faster scan acquisitions, the scanner has the potential to "outrun" the contrast bolus if scanning is not timed properly. For many vascular applications, we use a dual-head injector system and de-liver a saline bolus immediately after the contrast injection. This helps to maintain homogeneity of contrast attenuation. A saline chaser is of limited use with pulmonary CTA, however, because opacification of the pulmonary arteries ensues only a few seconds after commencement of contrast injection. 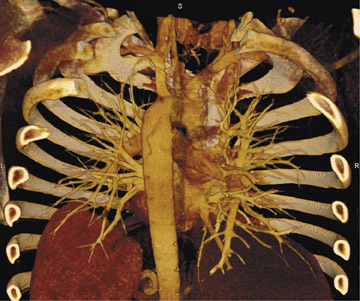 Potential advantages of using dual-head injector systems may include reduction in the volume of contrast material administered and a decrease in artifacts from dense contrast material in the subclavian vein, if the scan is acquired in the caudocranial direction. Performing pulmonary CTA in patients with impaired renal function is challenging. Some investigators have attempted to use gadolinium contrast material as an alternative to iodinated contrast material in patients with renal impairment and suspected pulmonary embolism. 6 Although it is possible to make a diagnosis using this approach, it is not recommended in most cases. Not only is the image quality inferior, injection of enough gadolinium contrast medium to achieve CT attenuation values comparable to those of iodinated contrast would present an equivalent or greater risk of nephrotoxicity. In addition, it is important to keep in mind that although contrast-induced nephropathy is an undesirable outcome, it is relatively minor when compared with the urgent need to diagnose a patient with suspected pulmonary embolism and the consequences of missing the correct diagnosis. Even in patients at high risk for contrast-induced nephropathy, the greatest concern is the immediate danger to the patient from the acute event (ie, pulmonary embolism). In our experience, the diagnosis of pulmonary embolism is best made on the basis of individual axial sections. In some instances, however, the isotropic nature of scan data may be of value in the creation of two- and three-dimensional (2D and 3D) displays. Figure 2 reveals how the use of a 2D multiplanar display can avoid a common pitfall in the evaluation of the pulmonary vasculature. In this patient with lymphadenopathy, an inexperienced observer might mistake the lymph node tissue adjacent to the pulmonary arteries for thrombus and an intra-arterial filling defect within the pulmonary vasculature. The coronal reformat on the right clearly shows that it is lymph node material. Figure 3 offers an example of the value of 3D visualization. This patient had acute chest pain, was suspected of having pulmonary embolism, and underwent contrast-enhanced CT of the pulmonary vasculature. Axial sections showed intraluminal filling defects. The patient was treated with heparin but did not improve. The abnormal tissue was later determined to be pulmonary artery sarcoma, a diagnosis that is more apparent on the 3D display, which suggests an invasive disease extending further into the periphery than would be expected of a pulmonary embolism. The real value of 2D and 3D reconstruction techniques in pulmonary embolism imaging is in fostering communication with referring physicians. It is much easier to communicate the extent and location of disease by presenting a referring physician with a coronal reformat, rather than an axial section. Cardiac motion continues to complicate imaging of the pulmonary circulation, particularly in vessels that are adjacent to the rapidly pulsing left ventricle. In such cases, retrospective electrocardiographic gating may be helpful. 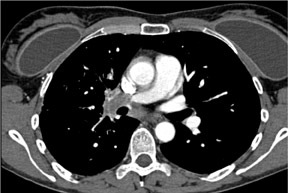 Figure 4 shows a young patient who has undergone lung transplantation and has a suspected pulmonary embolism in a tiny vessel next to the left ventricle. 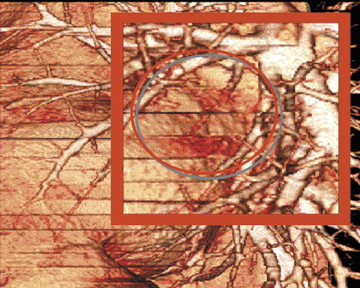 The image on the right, reconstructed with the aid of retrospective gating from data acquired during diastole, more clearly depicts the pulmonary vasculature adjacent to the beating heart, with much less cardiac motion artifact and "stair-stepping" than in the systolic image on the left. Radiation exposure is also of concern. Most scanners today are equipped with automated exposure control. This technology should be used in every patient, as it enables excellent image quality while reducing radiation exposure by 50%. The kV setting is also important. In a very small child, for example, using kV of 80 and mAs of 70 will limit radiation exposure while producing excellent images (Figure 5). Data management is another substantial challenge. Interpretation of a CT study acquired on a 16-detector-row scanner may involve paging through >500 images. Computer-aided diagnosis represents a sophisticated solution. For example, a computer-aided algorithm can be used to detect isolated filling defects in segmental and subsegmental arteries in the periphery of the lung-a finding that would be difficult to detect when reviewing a large number of axial images. Pulmonary CTA plays an important role in the imaging and staging of neoplastic disease and in guiding surgical and interventional therapy. This technique assists in planning interventional treatment of congenital abnormalities. 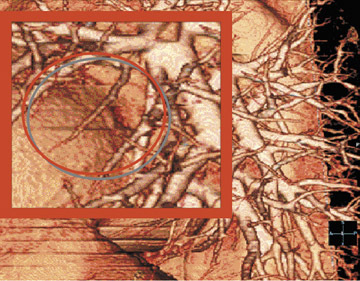 In the case shown in Figure 6, CTA helped to plan for the placement of an intravascular coil in a patient with an arteriovenous malformation. 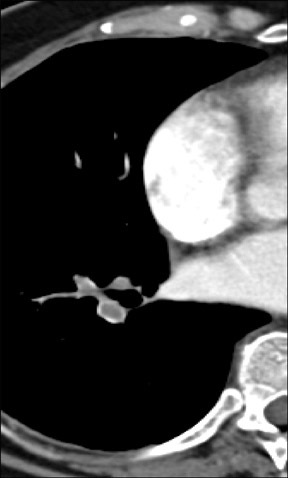 Pulmonary CTA is also useful in the assessment of pulmonary hypertension, demonstrating the "corkscrew" appearance of the pulmonary vasculature, hypertrophy of the bronchial arteries, cardiac dilatation, and mosaic perfusion in patients with longstanding recurrent pulmonary embolism (Figure 7). In patients suspected of having a pulmonary embolism, indirect CTV following pulmonary CTA is useful for evaluating thromboembolic disease. Table 1 outlines protocols for CTV. When using single-detector-row CT systems, we scan with thick, 10-mm sections, and use a very low-dose sequential acquisition, every 3 to 5 cm from the diaphragm to below the knee. With a 4-detector-row scanner, we use a 5-mm collimation, mAs of 120, and a spiral scan from the diaphragm to the ankles. With 16-detector-row CT, we use very low-dose scanner settings, 100 mAs, and a 1.5-mm collimation, and we scan quickly from the diaphragm to the ankles. Scan timing is very important. We have found that a total scan delay of 150 seconds results in sufficient atten-uation within the venous system to enable detection of filling defects and evaluation of the full scope of thromboembolic disease. 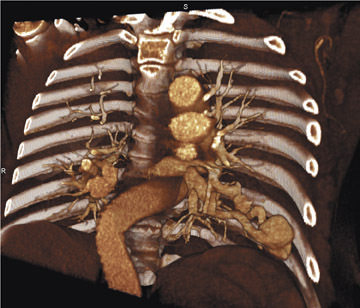 CT venography may even have advantages over sonography in certain emergency situations. 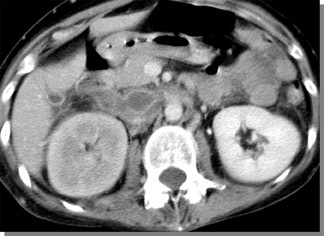 Figure 8 shows a patient with extensive thrombus in the inferior vena cava, resulting in venostasis with hypoattenuation of the right kidney. Because the patient has a large amount of abdominal gas, it may be difficult to detect thrombosis with ultrasound. In addition to the lower extremities, we frequently find that thrombus and embolism originate in the superior vena cava or jugular vein, often following catheterization. Problems that can arise with CTV include: poor venous enhancement; poor arterial inflow as a result of atherosclerotic disease; mimicry of filling defects by lymph nodes; poor visualization as a result of metallic hardware in the hip or femur; and, most importantly, radiation exposure. In addition, it is unclear whether we should evaluate infrapopliteal veins and the significance of findings in these vessels. A wide variety of diagnostic tests for acute pulmonary embolism have been investigated. In daily practice, however, CTA is clearly becoming the most important. An important focus when promoting acceptance of pulmonary CTA is its ability to image an isolated peripheral embolus, once considered a limitation of CT. Today, 16-detector-row CT scanners can visualize even the tiniest isolated peripheral embolism. The challenge, now, is to revise diagnostic and therapeutic algorithms to account for this newfound technical capability. With 16-detector-row CT acquisition, data display can be tailored to specific needs. For example, visualization can resemble digital subtraction angiography for a referring physician accustomed to that technology. Alternatively, volume rendering can depict filling defects in a very intuitive manner, with added color if desired (Figure 9). Even with a single-detector-row spiral CT scanner, the ability to exclude clinically relevant pulmonary embolism is excellent, as several studies have demonstrated. Each study enrolled a group of patients whose CT scan was negative for pulmonary embolism and who did not undergo anticoagulation. Follow-up ranged from 3 months to 24 months. In all of the studies, the negative predictive value of spiral CT for pulmonary embolism was close to 100%. Of note, many involved the use of a single-detector-row CT scanner. 13 Any residual doubts about the accuracy of CT for the evaluation of pulmonary embolism should be overcome by increasingly advanced scanner technology. Today, CT scans can yield more diagnostic information than ever before. Quiroz et al 14 evaluated the prognostic value of right heart dilatation observed on routine CTA, performed without gating. 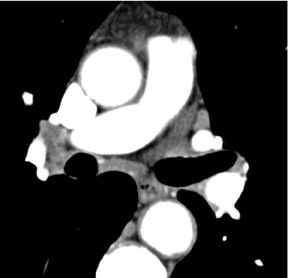 The study involved 63 patients with CT-confirmed pulmonary embolism. 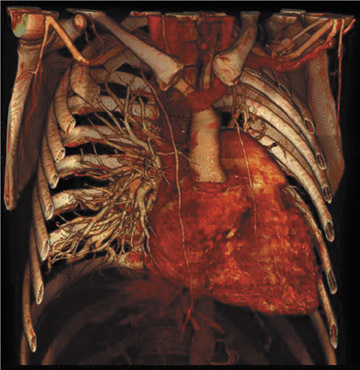 Off-line CT measurements included right and left ventricular dimensions (RVD, LVD) in axial, 2D-reconstructed, and 4-chamber views. They found that an RVD/LVD ratio >0.9 on the 4-chamber view was an independent predictor of adverse events, defined as 30-day mortality or the need for cardiopulmonary resuscitation, mech-anical ventilation, pressors, rescue thrombolysis, or surgical embolectomy (odds ratio, 4.02; P = 0.041). CT was comparable to echocardiography in identifying high-risk patients. CT angiography is well positioned to become the gold standard for imaging of the pulmonary vasculature. It is a unique tool that can visualize disease in the smallest pulmonary vessels, diagnose clinically important coexisting disease, detect the source of thromboembolism, evaluate the deep venous system, and assess the functional sequelae of the embolic event. The following summarizes key features of pulmonary CTA: The use of thin sections is critical. Injection rates are high, typically 4 to 5 mL/sec. Automated bolus triggering enables optimal scan timing. Standard 300 mgI/mL low-osmolar contrast material is sufficient for most patients, but isosmolar contrast material is used for patients at high risk for nephrotoxicity. There is little call for gadolinium-based contrast, saline chasing, or high-concentration contrast media in pulmonary CTA. 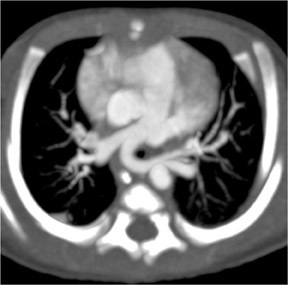 Pulmonary CTA is clearly the method of choice for imaging the pulmonary circulation. Even with a single-detector-row CT scanner, the negative predictive value for exclusion of clinically significant pulmonary embolism is extremely high, making it an ideal test for this application. In addition, CT scanning can provide additional information on patient prognosis and function. Ongoing challenges include radiation exposure and the need to analyze and manage large volumes of data. ELLIOT K. FISHMAN, MD: I would like to start the discussion. A patient suspected of pulmonary embolism (PE) is always, in some sense, a high-risk patient. With this in mind, do you think that using a contrast like Visipaque routinely might be a good strategy? There are several reasons, I would think it might be. Typically, it is an emergency situation and you may not have any blood urea nitrogen (BUN)/creatinine values on the patient. Also, they are often very sick patients, or intensive care unit patients. Do you have any thoughts about strategy or recommendations for these cases? U. JOSEPH SCHOEPF, MD: I agree that you do not always have blood labs, especially in the emergency department setting. But, generally, I believe that if you do have blood labs and you know that your patient is a routine case and you do not need to worry about a lot of risk factors, I do not think it is absolutely necessary to use anything other than a routine contrast media such as a nonionic. For example, typically we have a high volume of young women who come in to the emergency department with acute chest pain who are on oral contraceptives, in these cases PE is always a consideration. But I agree with you. If you have an older patient, above the age of 70, coming into the emergency department and you need to come up with a diagnosis in the acute emergency setting, it may be worthwhile to just use a contrast media with which you know that the risks of contrast-induced nephropathy are lower than with your routine contrast agent. So I would still leave some flexibility in that, but I would definitely like to have both agents on the shelf to be flexible in the acute situation. LEO P. LAWLER, MD, FRCR: I would like to comment on the situations in which you get the protocol down and you do it well, but you still end up, albeit in a few cases, with what I would term an indeterminate CT scan. I think it is important to keep this in mind, I also see these studies at meetings. You may have technologists who do the scan very diligently, but sometimes you still just do not get it quite right. Again these are very few cases. There is no doubt that CT is almost the standard of care for PE now. But I think it is important to acknowledge that CT sometimes lets us down. There is such a thing as an indeterminate study where the pretest probability of the disease really has not been changed and you have to go to other tests, such as D-dimer and ultrasound. I have another question for you. One area I have been disappointed in, in that I would have thought we would have seen more growth, is the whole area of functional imaging of lung perfusion. We have seen dramatic images at talks, and there has been pressure for us to figure out a way to fuse that with ventilation perfusion. I have seen some SPECT/CT imaging where the CT portion is very poor in terms of quality, but it is clearly going to get a lot better. Do you think we are going to be able to get a practical functional imaging map to the morphology? SCHOEPF: Let me answer the first part of your question, because I think that is important. In this particular presentation, I focused on imaging of the pulmonary circulation. As far as radiologists are concerned, we are faced with the imaging part of the equation. I believe those other tests that you mentioned such as D-dimer testing and ultrasound are extremely important. In our institution, especially in the outpatient population, D-dimer is the main triage test and if the D-dimer test is negative, we take it as a very good indication that the differential diagnosis of pulmonary embolism is out of the equation and we can pursue other reasons for the patient's chest pain. I would personally like to see ultrasound used much more often than it is currently used. It is unfortunate that ultrasound is underutilized for imaging of patients with suspected PE. If a patient had an ultrasound prior to CT imaging, and deep venous thrombosis was found on the ultrasound, in most cases, you can do very well without the CT scan. So I would like to see every patient with suspected PE undergo ultrasound, since it is a much less invasive test. In terms of the indeterminate CT scans, in our institution, we looked at that specifically. We have found that roughly 5% of our CT scans are considered nondiagnostic. Our strategy in those cases is not to look into different imaging modalities; instead, we analyze why the CT scan is suboptimal. Then we try to remedy that: try to increase contrast flow, try to bump up the tube current, if obesity is a problem. Try electrocardiography (ECG) gating, as you saw in the case I presented. So we try to repeat the scan after we have analyzed the problem. As far as the structural and functional information that you asked about, I believe that is something that we should pursue much further. It is very important to consider what kind of therapy a patient is going to receive depending on the part of lung parenchyma that is affected by the embolic event. That is also something we should pursue for emergency situations. As you note, the problem these days is that this is a research topic. But I believe that as we move to faster and faster scanners that will allow us to subtract a nonenhanced scan from an I-plus scan, for example, that would help us to look at the functional processes much better in the future. That is something that we should pursue. FISHMAN: I have a question. People always use the term "a high-risk patient." But what exactly is a high-risk patient? SCHOEPF: There is a very good definition of a high-risk patient in terms of contrast-induced nephropathy. It is an older patient, a patient with diabetes, a patient with known renal impairment, and, especially, a combination of the above. I believe that is a very fair statement and can help you in clinical decision-making. But, as I said, I think the entire issue of contrast-induced nephropathy is a bit overrated. It is based on our previous experiences from the dark eras when we had to use ionic contrast media, as opposed to the more modern agents that we have available today. It is now time that we look into the effects of those more modern era contrast media on renal function in more detail. We need to come up with more contemporary recommendations for how to utilize them. FISHMAN: But the kidney is not the only end organ that contrast affects, right? Cardiac function is also affected by the contrast agent chosen. So, that also might play some role in considering who is a high-risk patient. I agree with you. The focus may be too much on looking at a BUN/creatinine value to determine a high-risk patient. But we probably do not consider enough of the other factors in an intensive care unit patient or a cardiac patient. Everyone is looking at those numbers and ignoring the big picture, at times. GEOFFREY D. RUBIN, MD: Elliot, I would turn it around a bit and say that high risk is in the eye of the beholder. Thus far, high risk has been defined from the patient perspective. But there are patients that are high risk from the radiologist's perspective and those are the people that have a high likelihood of not getting a good quality examination, which is a whole different category. So, we might want to think about them too. Within the context of imaging PE, I think Leo touched upon it, but I think patients who are in the intensive care unit and, in particular, those with high output states are at much higher risk of having insufficient opacification of the pulmonary circulation. There is a number of phenomena going on; some patients take in a deep breath and pool contrast in their abdomen, then do not return it back to their pulmonary circulation for a while. We see substantial heterogeneities in the degree of opacification of the pulmonary circulation. One seemingly paradoxical finding that we have seen is that, as the scanners get faster, the likelihood that the majority of the scan is done during a time when there is very poor opacification of the pulmonary circulation goes up. In fact, we have had a greater number of nondiagnostic pulmonary CT scans at the 16-row scanner than we have with the 8-row scanner just because it is a much shorter acquisition. As we get to even faster scanners, with a notion of a 1-second CTA, we would have a completely nondiagnostic study if the scan happens when the contrast is pooled in the wrong place. I think that we really need to start understanding the issues. From the standpoint of patient weight, you can usually predict what you need to do to minimize the noise. But we have a lot to learn about contrast dynamics, particularly in the pulmonary circulation, which seems to be very volatile. I am not sure if we will get to the point at which we can preliminarily predict in any given patient what is the best strategy for giving a contrast to get adequate opacification. But I hope we can achieve some balance that gets us some improvement over where we are today, particularly for patients with limited cardiac function. LAWLER: Geoff, I think an important point for the pulmonary arteries and the heart, to a large extent, is that a lot of the conventional ideas and the wisdom on contrast are related very much to the organ imaging. All the studies are very much on organ and liver imaging. But when we image the pulmonary arteries and the heart, and so forth, we are really dealing with a first-pass imaging. It is so first pass that the contrast has not even reached the descending thoracic aorta. So all the issues in terms of the systemic circulation that are indexed to weight and cardiac output are, essentially, completely irrelevant essentially for a first-pass study. RUBIN: That is absolutely true, Leo, and when you further compound it with the recognition that 30% of the normal population has a patent foramen ovale and if you take that population and throw PE on top, you will have a high degree of right-to-left shunting in those patients. That will obviously wreak havoc on the degree of pulmonary arterial enhancement. At this point, these are all issues that we have no way to control for when we are scanning these patients. BRIAN R. HERTS, MD: Some people have even looked at injecting contrast into both arms at the same time so you do not get dilution of contrast material from mixing enhanced and unenhanced blood from the arms. Obviously, that is a very impractical solution to a difficult problem. W. DENNIS FOLEY, MD: I would like to ask a practical question. You showed us multiplanar imaging and simultaneous axial and sagittal display. Most radiologists use axial viewing in a cine paging mode. Do you feel that having the ability to see the image in the coronal or sagittal display is useful diagnostically? SCHOEPF: Not for me. As I tried to point out, the diagnosis of acute PE is still made on the individual axial section. Now that is cumbersome with cine viewing; on an advanced workstation it becomes easier, but it is still cumbersome. That is why we are investing so much effort into making our lives easier, for example, by having a computer read those data sets for us. For actually making a diagnosis of pulmonary embolism, I do not believe that 2D or 3D display is of much value for an experienced radiologist. The importance of having those abilities is for inexperienced observers to differentiate better between hilar structures and intraluminal filling defects, and they also help with communication with the referring physicians. Those are two major applications of utilizing that isotropic nature of our data. FOLEY: I have another quick follow-up question on the nondiagnostic studies. Are you routinely doing those with retrospective gating? SCHOEPF: No, not routinely. That is a problem-solving tool. If you have a particular question in a patient where one vessel is obscured by cardiac pulsation artifact, which can happen (and was the case in that patient that I showed), then we consider using retrospective ECG gating. Because of the dose penalty that we are currently incurring when we use that particular approach, this is not something that we recommend for routine clinical use at this point. As the methods of ECG tube modulating, for example, become more efficient in the future, and as we see the introduction of 32, 40-, and 64-row scanners, it may become more of an op-tion to use that as a routine acquisition protocol. But it is not an option under current technical conditions. LAWLER: I think we all agree that in PE imaging, in particular, you really must do planar imaging, rather than the various multiplanar techniques, such as the maximum-intensity projection and volume-rendered imaging. If you do not harness the 1-mm slice collimation, you are really not moving on from single-detector CT in any way. But, it is clearly impractical, beyond problem solving, to ever look at the 1-mm axial images. If we ever retrain ourselves to read planar imaging and we want to read all of the 1-mm slices, the only way it will be practical is as a coronal sliding multiplanar reconstruction where you have a very limited volume to cover. Anything else, sagittal or axial, will not be usable for routine purposes. Of course, problem solving is a different question. FISHMAN: I would like to ask one last question to wrap this up. The most common question I get on my Web site, www.CTisus.com, is on PE, since even with a good protocol the image may be suboptimal. When you are setting threshold values, Joe, you said you are using 100 HU in the main pulmonary artery. Is anybody else using anything else, or is that a good recommendation? RUBIN: We do use automated triggering, with monitoring for the technologist to trigger the scan. In the vast majority of studies, the main pulmonary artery goes from 50 to 250 HU--the specific nature of the threshold is just an eyeball test--when it is bright, you push the button. I think the biggest frustration when I look at our nondiagnostic studies is that when I go back to the bolus-monitoring phase, it looks great. It all has to do with the hemodynamic consequences, the strong Valsalva that suddenly results in a wash-in of unopacified blood from the abdomen, and things like that wreak havoc on the scan. There are some things we can do, like training the technologists to make sure the patients do not perform a big Valsalva maneuver before they take their breath. But I am not sure that picking a threshold is really going to get at the fundamental problem we have with these nondiagnostic studies. 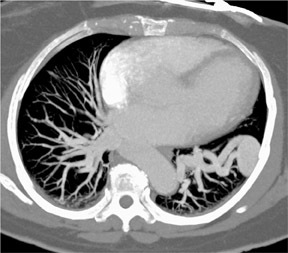 CT angiography establishes leading role in pulmonary imaging. Appl Radiol.